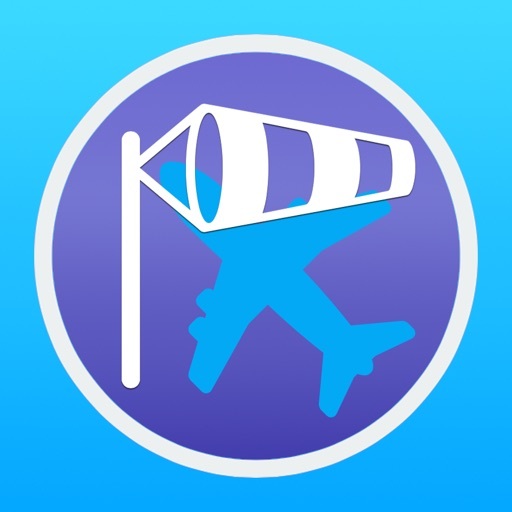 You can check aviation weather information (METAR) for airport or airfield (commerce, military use, common use, heliport in Japan) in around 10Km distance by simply launch this app. You can grasp at a glance the wind direction and direction of compass with large icon display. 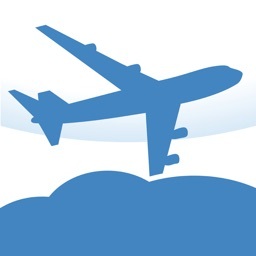 Please use this app for attendant of spotting aircraft or photography at airport. *** Please refer all features and interface of this app to the following URL. 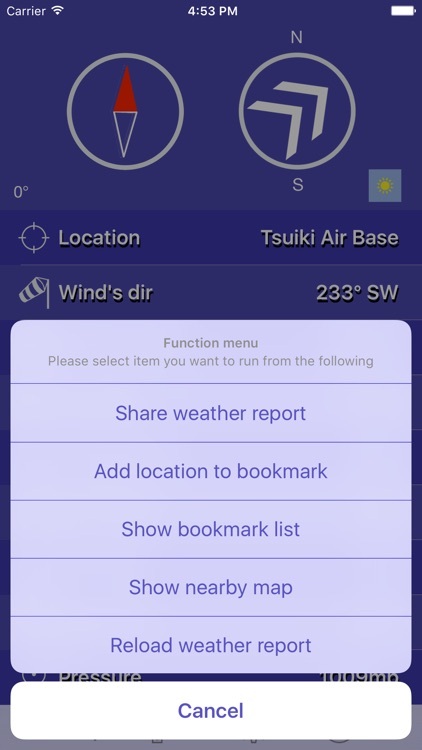 - In this version, you can automatically search for aviation weather information (METAR) of 135 places (airport or airfield) in Japan. 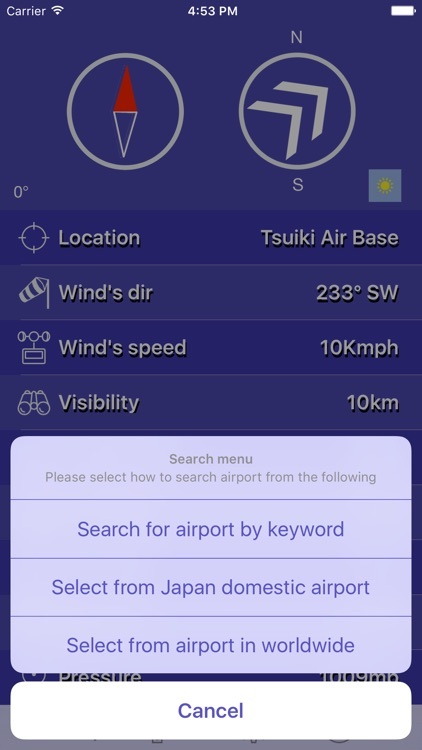 - you can automatically search for aviation weather information (METAR) of the closest airport or airfield in around 10Km distance in Japan. - In the case of the airport or airfield not delivering aviation weather information (METAR), you can get general weather report. - You can understand at a glance the direction of compass and wind direction with large icon display. 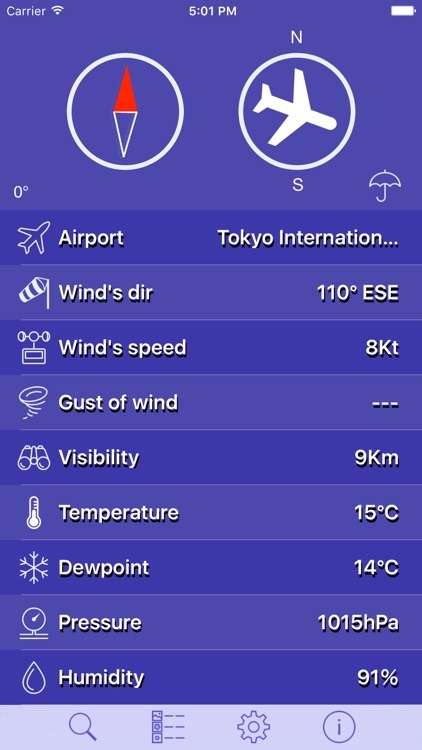 - You can search for weather report of selected airport by main airport (135 places) list in Japan. 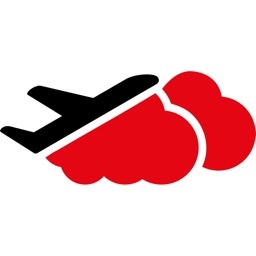 - You can search for aviation weather report (METAR) of selected airport by main airport (100 sites) list on global scale. - You can search for weather report by keyword search in the range of main airport (135 places) in Japan. - You can search for aviation weather report by ICAO code search outside Japan. 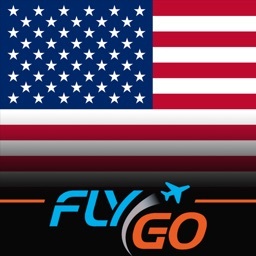 - You can register the airport for which searched with bookmark and reuse. 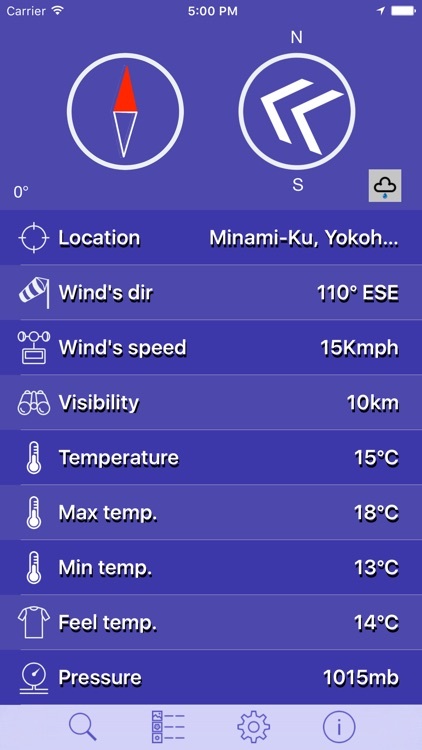 - You can share weather information with map by mail or SNS, etc. - You can view the map of airport or airfield with wind direction icon. * This application can operate in iOS 9.2 or later. 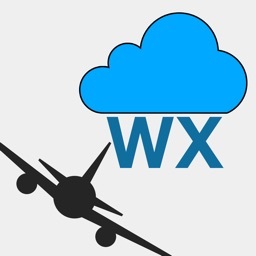 * Data items to need technical knowledge is included in aviation weather information (METAR). * Please use the data collecting of this app are privates use or hobby use. For such as damage caused by using this app, it does not take any responsibility.